If your future goals include pursuing a career in fashion, the options for choosing a quality institution of higher learning can prove to be overwhelming. The fashion industry can be a competitive but rewarding career. And, although fashion design is a popular choice by many incoming freshman, there are many sectors of the fashion industry that can provide you with a great fashion career. 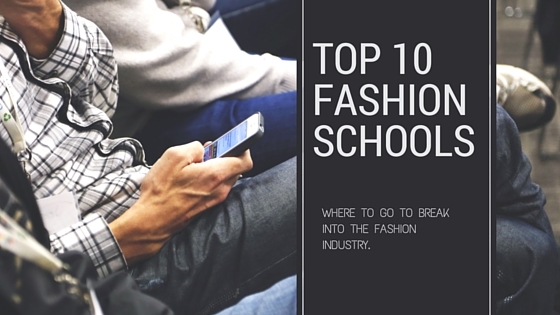 In this article, we will focus on the top ten fashion schools in the world. We will also discuss other dimensions of the fashion industry in addition to fashion design to provide you with options for other areas in the industry that can be very rewarding. 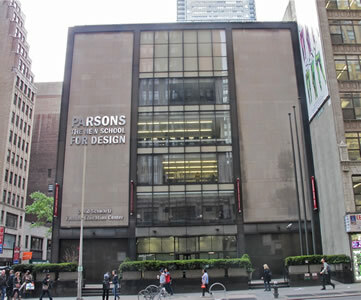 Parsons – The New School for Design is one of the top ten fashion schools that have turned out notable graduates including Donna Karan, Jason Wu, Alexander Wang, Tom Ford, Jenna Lyons, Marc Jacobs, and many more. The college is located in lower Manhattan in New York City in the Greenwich Village neighbourhood. With an enrollment rate of more than 43 percent, Parsons has over 42,000 undergraduates and just over 656 graduate students. The student population studies in programs such as Fashion Marketing, Fashion Studies, and Fashion Design. Since the early 1920s, Parsons has maintained a presence in Paris, which is one of the major fashion capitals of the world. The cost for tuition is $39,280 or £25,400.68. Plus, there are many well-known people in the fashion industry on the faculty where workshops delivered by Donna Karan and Marc Jacobs are commonplace. Many of the faculty also work in the fashion industry which can help students build solid career prospects. Parsons has also established partnerships with many companies and retailers in the fashion industry allowing students to get an outside point of view concerning their work. Check out this informative video created by a first year student at Parsons. Central Saint Martins is located in London, England and is one of the top ten schools in the world for art and design education. CSM has turned out notables in the fashion industry such as Alexander McQueen, Paul Smith, Stella McCartney, Riccardo Tisci, Christopher Kane, and many others. The enrollment is currently 1200 students who are studying in programs that include fashion and jewellery design, as well as textiles. The cost for tuition is £13,300 and the school is also associated with the University of the Art London (UAL) making it a strong prospect for arts and design. Central Saint Martins is also funded in part by the government which makes it possible for students of different social backgrounds to attend the school. At the same token, students have access to top notch faculty that is currently active in the fashion industry, including international fashion professionals such as Louise Wilson. CSM offers several different programs which include Culture and Enterprise, Fashion, Graphic Communication Design, Jewellery and Textiles, Spatial Practices, Drama and Performance, in addition to Art, Product, Ceramic and Industrial Design. To find out more about the environment of CSM, here is a brief tour of the campus. 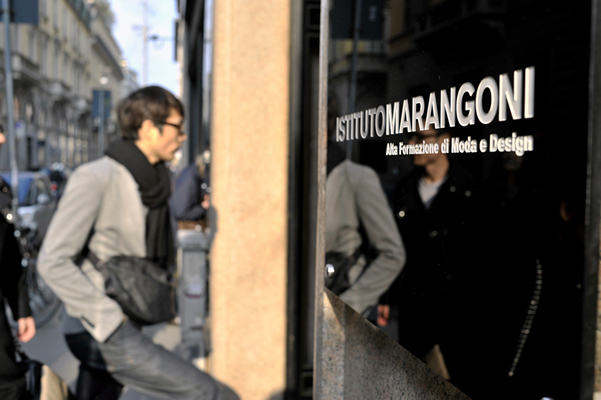 The Istituto Marangoni is located in Milan, Italy with three other campuses in Paris, Shanghai, and London. The school has graduated fashion notables such as Domenico Dolce, Franco Moschino, and many others. It also offers a placement rate of 90 percent following graduation. The current enrollment is 2,000 students who are studying in programs that include Fashion Design, Brand Management, Fashion Enterprise, Fashion Marketing, and Fashion Buying. In terms of cost, tuition is €13,900 to €19,000 or ‎£9,751 to ‎£13,329 depending upon which program you choose. Students who attend Instituto Marangoni can expect a heavy workload. However, training from some of the best known people in the fashion industry who are experienced at their craft and apply theory to actual practice, can really pay off when it comes to career placement. Instituto Marangoni has maintained a reputation of helping its graduates achieve the highest professional levels of achievement. ESMOD (l’Ecole Supérieure des Arts et techniques de la Mode) is a prestigious fashion school located in Paris with 21 other schools across 14 different countries. It is currently the oldest fashion design school in France. The institution has turned out fashion industry icons such as Alexandre Vauthier, Nina Garcia, Christophe Decarnin, Theirry Mugler, Damir Doma, and many more. Enrollment is approximately 700 students who are studying in Fashion Design and Fashion Business. The cost for tuition is €9,900 or ‎£6,945, and has a job placement rate of 85 percent following graduation. ESMOD was established in 1841 and is known for its invention of the measuring tape and the mannequin. London College of Fashion is part of the University of the Arts London (UAL) and is known for its wide variety of fashion programs and courses. Notable people in the fashion industry who have graduated from the London College of Fashion include Rupert Sanderson and Jimmy Choo. The enrollment is approximately 2500 students who major in different fashion programs which include Buying and Merchandising, Fashion Design, Beauty and Cosmetic Science, Fashion Critique, Fashion Journalism, Fashion Marketing, and Footwear and Accessories. The cost for tuition is ‎£13,800. The London College of Fashion is renowned for its variety of programs that help to open up more career options for graduates. Additionally, the Fashion Journalism program is what makes the college stand out from other fashion schools. 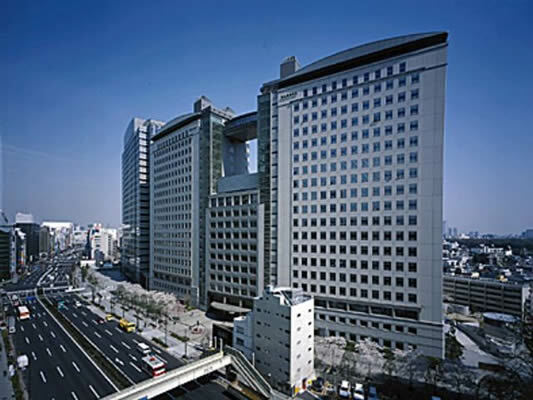 Bunka Fashion College is located in Shinjuku, Tokyo with seventy other locations across Japan. The school became known internationally during the 1960s when graduates displayed their designs in the fashion capital of Paris. Bunka has graduated famous fashion industry professionals such as Junya Watanabe, Tsumori Chisato, Yohji Yamamoto, Kenzo Takada, and many more. Bunka Fashion College is the very first school in Japan to specialise in the fashion industry. The enrollment is approximately 8000 students in total for both institutions. Students can study in programs including Fashion Creation and Technology, Accessories and Textiles, Fashion Design, and Fashion Marketing. Bunka is also known for the creation of avant-garde Japanese fashions. In terms of tuition costs, you can expect to pay anywhere from ¥1,184,500 to ¥1,403,500 (approx. ‎£6,390 to ‎£7,572) depending upon which institution you attend and the program you select for study. Additionally, a good understanding of the Japanese language is a must to ensure the success of your studies. Bunka is also an excellent choice if you are considering marketing or some type of career in fashion technology. The Fashion Institute of Technology is located in New York City and directly in the middle of the Garment District where many of its faculty and graduates are associated. FIT has turned out fashion icons such as Michael Kors, Calvin Klein, Nina Garcia, Ralph Rucci, Francisco Costa, Reem Acra, and many others. The school also maintains relationships with key people in the fashion industry who offer workshops and fashion critiques. The enrollment at FIT is approximately 10,000 students who are studying in programs such as Fashion Illustration, Fashion Design, Fashion Marketing, Fashion Business, and Fashion Styling. The institution is part of SUNY (State University of New York) which provides students with an affordable way to access the best in the fashion industry. Tuition costs are quite reasonable at $3,034 or ‎£2,011 a semester for New York State residents. Out of state and international students can expect to pay $8,185 or ‎£5,425. FIT also is known for its excellent lecture series and the FIT museum which is curated by Valerie Steele and offers one of the largest fashion archives in the world. In addition to the programs we mentioned, students can also explore the visual arts, as well as a variety of other degrees related to the fashion industry. The Antwerp Royal Academy of Fine Arts is located in Antwerp, Belgium and is an elite fashion school that enrolls just over 140 students each year. Notable fashion industry professionals that have graduated from the Royal Academy include Marina Yee, Ann Demeulemeester, Dirk Van Saene, Haider Ackermann, Walter Van Beirendonck, Dries Van Noten, and more. 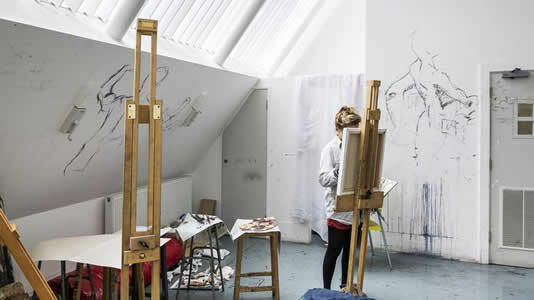 Antwerp Royal Academy of Fine Arts is known for its heavy workload and serious students. 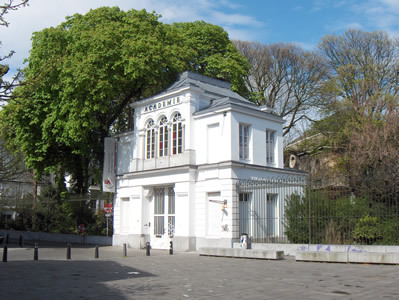 The school became famous when Marina Yee of The Antwerp Six placed the school on the fashion industry map during the 1980s. The Royal Academy has been turning out famous fashion designers ever since. In terms of tuition, the cost is €7,000 or ‎£4,909. Tuition is also government subsidised and this includes foreign students. The school also focuses primarily on the Fashion Design program. If you are a serious student, you will come out of this institution well-trained. You must be able to grasp the Dutch language to study successfully. The Royal College of Art is located in London and is known around the world for its broad range of art and design courses at the graduate level. Famous graduates of the Royal College of Art include Zandra Rhodes, Philip Treacy, Ossie Clark, Erdem Moralioglu, and many more. 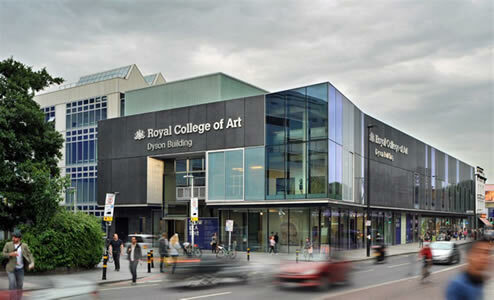 Additionally, the Royal College of Art is distributed across six different schools. 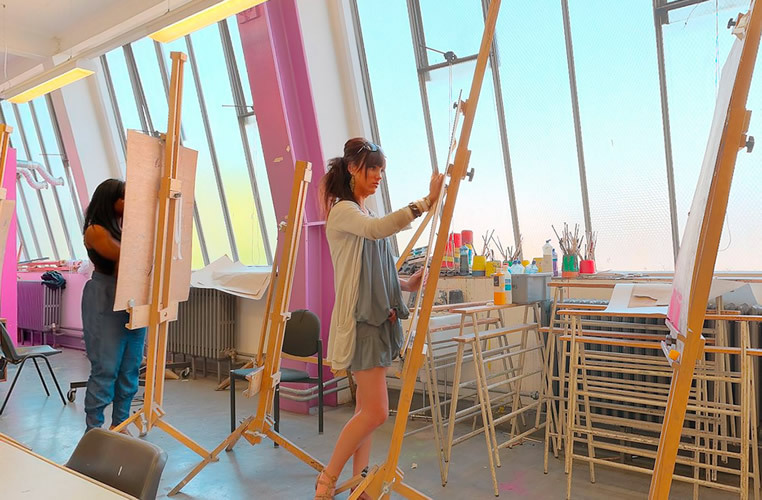 Enrollment in the Royal College of Art is under 1000 students with only 100 students to each graduating class due to the exclusivity of the program. Tuition costs are £26,900 and students have the opportunity to be awarded placement with some of the most famous fashion houses across the world including Louis Vuitton, Burberry, Prada, and Givenchy. To attend the Royal College of Art, it is necessary to have an undergraduate degree in fashion. The school also offers an exceptional career database for job placement following graduation. The Fashion Institute of Design and Merchandising (FIDM) has been in existence since 1969 and is located in Los Angeles. Founded by Tonian Hohberg, FIDM was the first college on the West Coast to specialise in fashion. Since then, the school has graduated such notables as Pamela Skaist-Levy, Monique Lhuillier, Randolph Duke, and many others. Famous people in fashion that serve on the Advisory Board include Diane von Furstenberg, Fred Segal, and Tim Gunn in an effort to keep the institution current with fashion industry trends. The enrollment at FIDM is currently 7500 students studying in programs such as Costume Design, Fashion Design, Textile Design, Merchandising, Jewellery and Footwear Design, and Beauty. The school has also maintained relationships with fashion industry leaders such as Guess, NBC Universal, Smashbox Cosmetics, and many others. FIDM is known as a vocational and design institution that prepares students for careers in graphic design, movie and television set design, fashion entrepreneurship, product development, business management, celebrity fashion design, and interior design, to name a few. Students can expect to pay anywhere from $27,000 to $36,000 or ‎£17,890 to ‎£23,854 in tuition with an excellent career placement program following graduation. Micar computers is a UK based supplier of the original bespoke ERP software solution for the clothing, footwear and textile industries. Click here to find out more about our products and services. All images used on this blog are property of their respective owners. I would take my own, but they wouldn’t look this good!